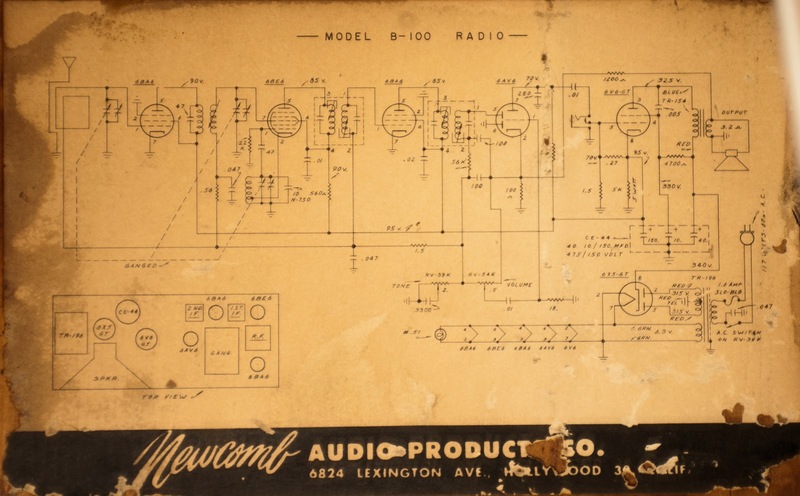 Seems there are 2 different versions of the Newcomb B100 radio. An early one with octal tubes and a later one with 7 pin mini's. Top radios is the newer version and the bottom is the older. Right click on each picture and select "open link in new tab" for the full size version. This is an under chassis of the newer model. Here is the schematic for the new model. Here is the schematic for the older model. The older model is better in my opinion. Sounds better and works better. 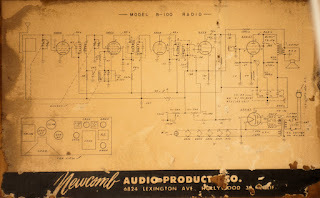 Lloyd's TM-75 Tube Radio Schematic. Uploaded these for anyone else who has one and needs the schematic and tube layout.